I'm thinking Weird Willy Bryant will be very, very quiet for a few months before he disappears for a while. That's what happens when you hitch your wagon to a third or fourth level ponzi scheme. Ever wondered what happens when a ponzi scheme reaches the end of its' lifespan, mathematic certainty kicks in and the serial ponzi players take their profit and run ?? The only question remaining now is, will they shutdown quickly before withdrawals exceed deposits or let My Daily Cash Machine slowly disappear into the sunset like My Advertising Pays and USI-Tech are doing ??? I gotta say, this is one of the better ponzi collapses I've been privileged to watch. Not bad, just on a 1000 drop in rank in under a day. This is the part where newbies get a huge and expensive lesson about the reality of playing ponzis. *They never last as long as the scheme they follow. 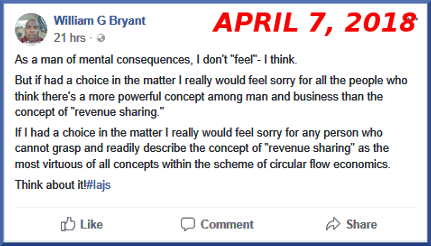 For someone who likes to portray himself as some sort of intellectual guru, Weird Willy Bryant doesn't deviate much from the standard ponzi pimps' script, does he ??? Weird Willy Bryants' MyDailyCashMachine has now gone into a ponzi freefall from which it will never recover. 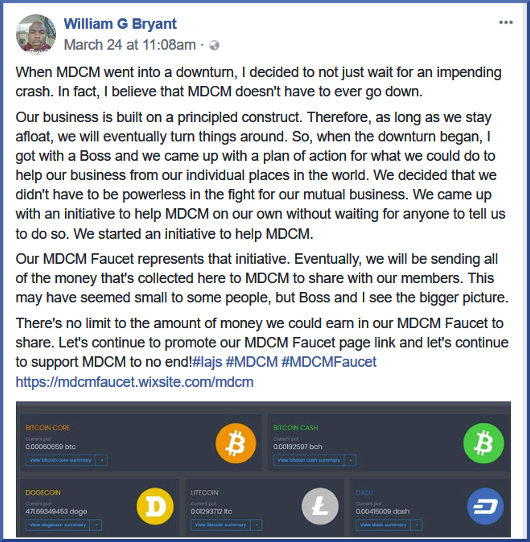 Unfortunately for MDCM members, it's now way too late to try and recover their money. 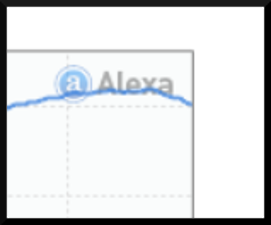 Here you go, My Daily Cash Machines' Alexa rating has dropped another 2000 places in just 24 hours. Another 1000 drop in rankings in 24 hours. A lesson for young players. When a ponzi collapses, it happens so fast victims have no chance of withdrawing their money. Another lesson for young players. By the time you realize a ponzi is on the downslide, it's too late to withdraw your money. Weird Willy Bryant will be crying into his Cornflakes. If you listen carefully, you can almost hear Weird Willy Bryant thumbing through his thesaurus searching for lengthy inappropriate words to try an explain the collapse away. 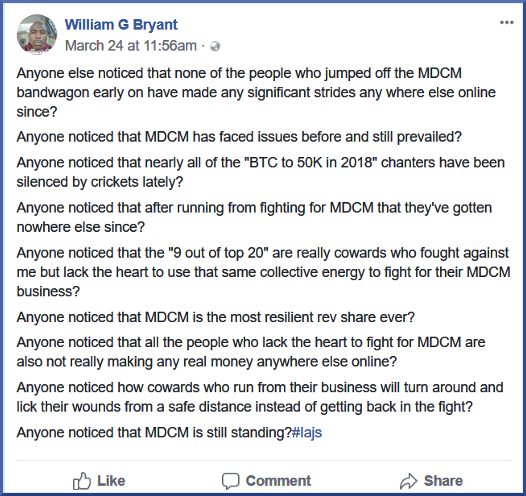 Does Weird Willy Bryant concede the truthtellers were right all along ???? The singer may change, but the song remains the same.